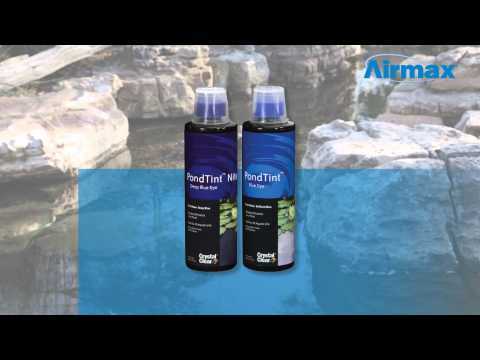 CrystalClear® PondTint™ - Airmax® Inc.
CrystalClear® PondTint™ is a non-toxic pond dye designed to help keep water sparkling clean and cool. Shaded pond water naturally stays clearer than pond water in full sun. If a pond does not have significant plant coverage, it is a good idea to use PondTint™ in the hot summer months to shade the pond. PondTint™ is available in two colors: PondTint™ Blue and PondTint™ Nite (Deep Blue). Do a 20% water change and re-apply. If problems continue, ask a CrystalClear® professional about additional treatments.